Savannah Georgia general contractor American Craftsman Renovations is a locally owned family operated general contracting firm that services The Landings on Skidaway Island in Greater Savannah Georgia. We are proud to offer homeowners: kitchen remodeling and renovations, bathroom remodeling and renovations, home additions, structural repairs, roofing services, and historic restorations. Whether you have recently purchased property at The Landings on Skidaway Island or simply looking to enhance your home with a new kitchen, American Craftsman Renovations is here to help. Our Savannah Georgia general contractor will work with you one on one to identify your needs so that the design we come up with accomplish your renovation or remodeling goals. From enhancing your space with new appliances, to totally revamping your kitchen, we can create the space you want for your family. Savannah Georgia General Contractor American Craftsman Renovations can help you accomplish your bathroom remodeling goals. Not only do we take pride in our work, ensuring every project is completed the right way, the first time, but we will work with you to identify your needs, so that our final bathroom project for your home meets your needs. 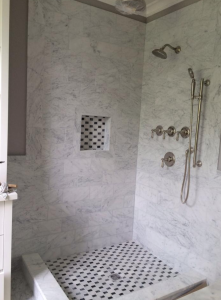 Let us build you a custom shower and bath, a new double vanity, or custom walk in closets; we can help you give your bathroom the upgrade that it needs. Sometimes your home at The Landings on Skidaway Island is becoming a little cramped for your growing family, and we can help. From creating dedicated office space in your home to finishing your basement, we will work with you to create the additional space that you need that will enhance the function of your property. Not only will a home addition provide you with more space, but the increased square footage will also help increase your home’s value. 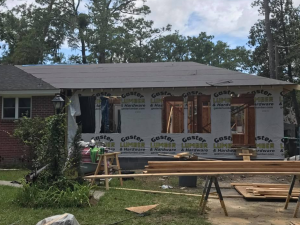 Savannah Georgia general contractor American Craftsman Renovations provides the best structural repair services in Savannah Georgia. You can rely on us to get your roof repaired or foundation fixed the right way the first time. Don’t trust your home’s repairs to fly by night contractors, speak with our expert contractor and his team today. Our local Savannah Georgia general contractor also provides roofing services to homeowners at The Landings on Skidaway Island. From total roof repair to total roof replacement our roofers can help ensure your roof is repaired the right way the first time. American Craftsman Renovations provides the best historic restoration services to historic property owners in Savannah Georgia. We will work with you to identify your historic property’s needs so that we can properly enhance your home, breathing new life into your property, while ensuring it is safe for your family. Let us help you enhance your home today while staying true to its natural historic beauty.